Chivas Regal whisky is a famous whisky brand name. It is popular in most Karaoke and bars in Hong Kong. However, some whisky “experts" and stylish people dislike this whisky. I have no idea why these “connoisseurs" give it negative comments as I have tasted Chivas Regal 18 years and it is definite a good whisky. Perhaps I should have a try on its basic bottling 12 years old. I am now introducing a special version of Chivas Regal whisky. 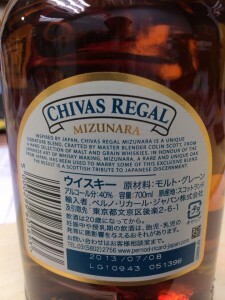 It is a mizunara finish Chivas Regal. Mizunara is an oak indigenous to Japan. Mizunara oak brings unique “Japanese favour" to whisky. Since the supply is very limited, the price of mizunara oaked whisky is expensive. Please refer to the article “Yamazaki Mizunara Cask Whisky" for story about this kind of whisky. 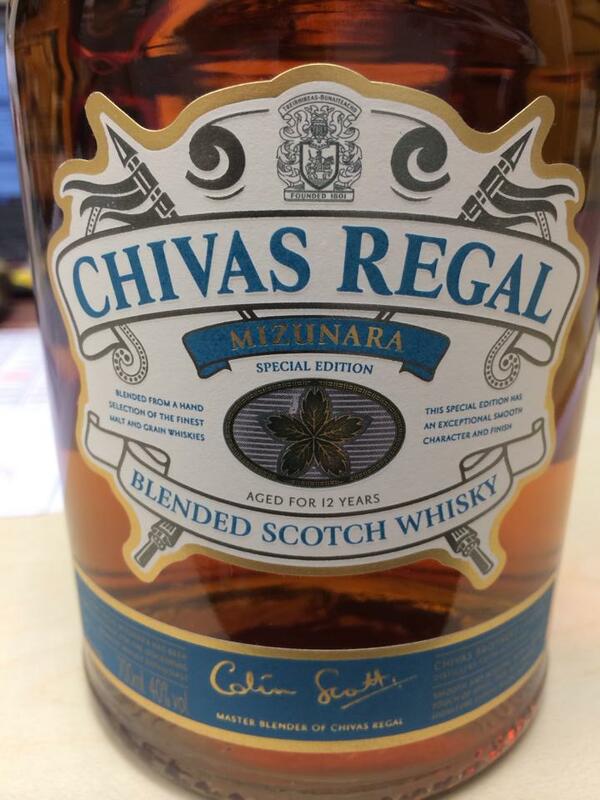 The story of this special Chivas Regal has begun from a Japan trip of the master blender Mr. Colin Scott. He came across an idea that he intended to create a whisky with Japanese favour for Japanese market. 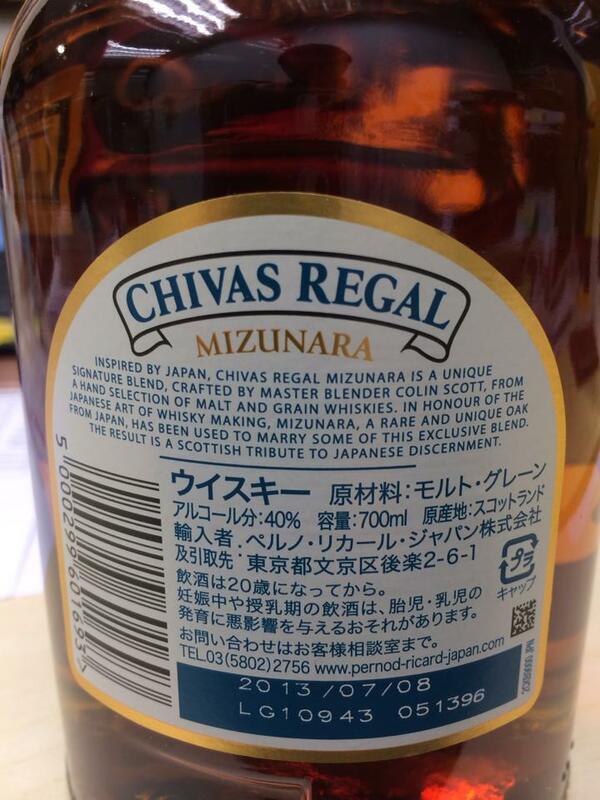 He then blended some mizunara oak finish whiskies to the receipt that created the first mizunara favour Scotch blended whisky and launched to Japan Market on 1 October 2013. A very interesting whisky and worthy to have a try. This whisky is unavaiable in Hong Kong market. Thank to a friend of mine he gave me a sample of this last year. Yes, this tasting note was written in last year but I am too lazy to manage it. Conclusion: Fresh and sweet note, refined essential old, little bit plastic but not offensive, grass appearing over time, simple but not dull. Light body, trends to toasty, quite spicy and a bit hot at the end. Medium length aftertaste, still toasty and hot spicy. Somehow artificial sweetness on nose, a bit simple at palate, fair aftertaste, fair in overall performance. Regarding to expected Japan favor brought by mizunara oak, I think it represented by that fragrance oil alike smell. Don’t having unrealistic expectation to this so-called mizunara featured whisky which it is nothing more than a whisky for consumer markets.